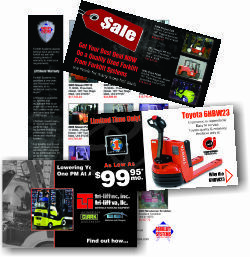 Direct Mail is a great way to target specific prospects and customers with unique messages that they might not see in email or the internet. Folks can avoid opening an email, but it's hard to ignore a post card sitting on your desk! Direct Mail is more useful now more than ever, because fewer people are utlizing it, reducing the clutter and allowing your message to get through. We will help you select your targeted list and hone in on a group you want to reach with the right message and create separation that puts your business on the Top of Mind and ultimately creates opportunities when the time arises.